Our consultants have developed a reputation for making change happen, as well as transferring knowledge and capability to our client’s organisation. The Company’s client-centric approach reinforces our commitment to building long term relationships and consistently exceeding expectations. More than 80% of Silver Softworks’s business comes from satisfied clients who recommend us to the wider market. We are 5 star rated by our clients and held up as one of Salesforce’s key ESB and SMB partners. We are proud to be one of Salesforce’s stand out partners. 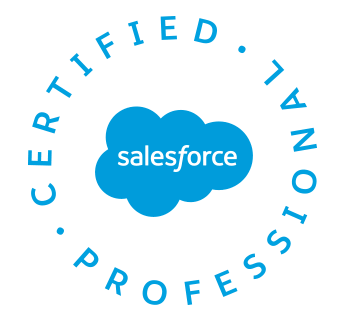 From Sales Cloud and Service Cloud to Salesforce CPQ (Configure, Price, Quote) and Salesforce Pardot (B2B marketing automation) we are the experts! Get in touch with our team today. Take a quick look at our video to find out more. The world’s #1 CRM solution gives your sales teams the power to close deals like never before with an array of cloud-based tools that increase productivity, help keep your pipeline filled with solid leads, and close more sales. No software. No hardware. No speed limits. From call-center software to self-service portals, our expert team can help you enhance your customer service with more responsive, more intuitive, and more flexible support that anticipates your customer needs. Looking for a CPQ solution? We can help to automate your CPQ (configure, price, quote) and billing processes with Salesforce. Submit proposals that look the way you want every time, and cut time out of the process. Always include the right collateral and terms, and even integrate with eSignature for an easier buying experience. Need to accelerate your sales cycle by giving your sales team the intelligence they need to close deals, faster. Identify your best leads, track engagement with campaigns, improve follow-up speed, and combine the powers of marketing and sales to turn leads into customers for life.